Great world building and characters! The Last Magician by Lisa Maxwell is full of surprises. Every time I thought I had the plot figured out the author would throw me another curve ball. By the end of the book I was wanting more. I want to know all about this world and more about characters, such as Dolph Saunders and Harte Darrigan. Their stories are begging to be told. However, this story is about Esta. She is one of the few people remaining that have an affinity for real magic, one of the Magues, and a talented one at that. She can manipulate time. She is also a first class thief, she can steal anything. Her teacher and mentor has sent her back in time to steal the book Ars Arcana. 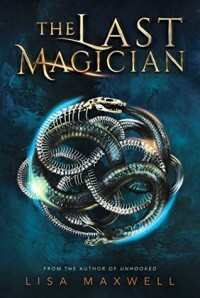 It is the definitive book on magic that contains the secret to destroy the Brink, the magical barrier around New York that lets Magues in, but not out. The Brink has trapped Magues for over a century now and today magic is almost gone. With the help of the book, the Brink can be brought down and the Magues freed. Of course, things are never as straight forward as they sound. The Ars Arcana is kept under lock and key in a stronghold of the Order, the sworn enemies of the Magues. As great a thief as Esta is, she will need help from Dolph Saunders and his gang. Unbeknownst to her some of Dolph’s people have their reasons for getting the book. In the end, she may have to betray the ones she has come to love in order to complete her mission. I loved all the characters in the book, even the bad ones. This is what sold me and makes me want more. The story was excellent too. There is a lot going on and the reader could have easily gotten lost in the details. Yet, the author was very good about not throwing information at you all at once. Each tidbit revealed seemed to come at just the right time. It is obvious that careful thought when into the details. The pace of the plot was perfect. It never felt rushed or forced and there was enough action and tension to keep any reader interested. There was a good balance of all things: characters, plot, setting, etc. I could not have asked for more. If you are a fan of Leigh Bardogo, author of Six of Crows, you will love this book. I highly recommend with no reservations what so ever. Also, if you enjoy time travel stories and books with badass heroines this is a must for your TBR list. I received a free copy from the publisher in exchange for my honest opinion. 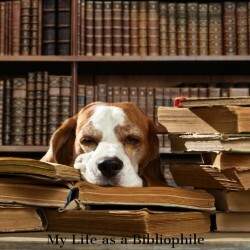 For more of my reviews, and author interviews, see my book blog at www.thespineview.com.